Alhamdulillah I was looking for this, another desire fulfilled !! Salaam Faqar, after writing this book and giving the 'copy is right' permission author has already participated in Ghazwa-e-Hind :) May Allah approve his participation. 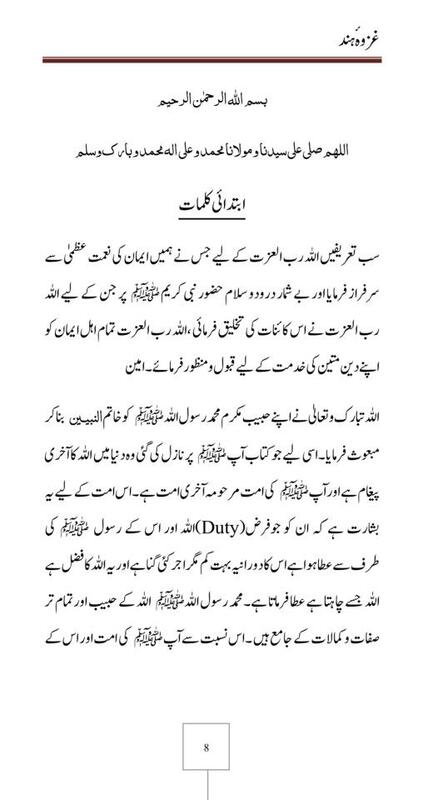 Everyone who is doing any effort/struggle is doing Jahad for Ghazwa-e-Hind but I'll point some errors present in mind of our emotional young Muslims. First mistake is that they are looking a shortcut for going to paradise by doing Ghazwa-e-Hind. I mean without doing any struggle they want to engage war with India, kill them and kill themselves. Our first struggle should be correcting ourselves (Jihad-bin-Nafs), our society and country. Without correcting ourselves we can't correct others. Bad Muslim cannot correct good Hindu. Ghazwa-e-Hind doesn't mean showing hate to them but protecting themselves and ourselves from hate of their fascist government. First we have to remove fascism in our government and society. So Ghazwa-e-Hind is not shortcut but a long struggle of decades. We shouldn't only use our life but our money, family, possession in way of Ghazwa-e-Hind. 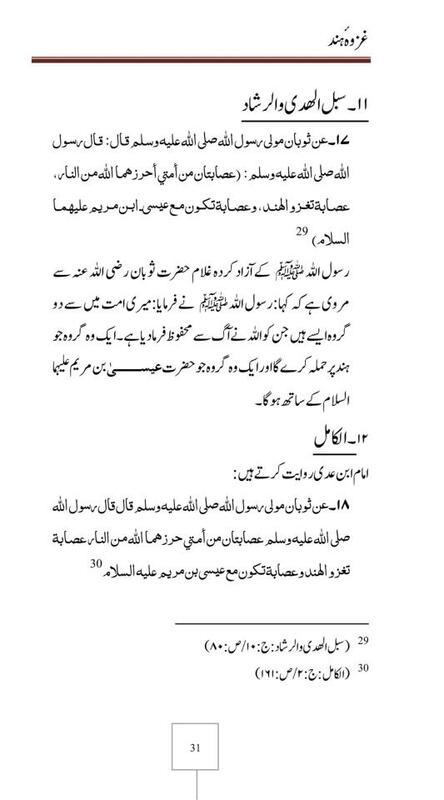 Most of us (including me) even don't want to purchase a book from store about Ghazwa-e-Hind :). Second mistake is in our mind is that we have considered ONLY death as Martyrdom (Shahadat) in the battlefield of truth and falsehood. The concept of Shaheed as interpreted as martyr ONLY is un-Quranic. The believers who lead a righteous life will go to heaven no matter how they die. 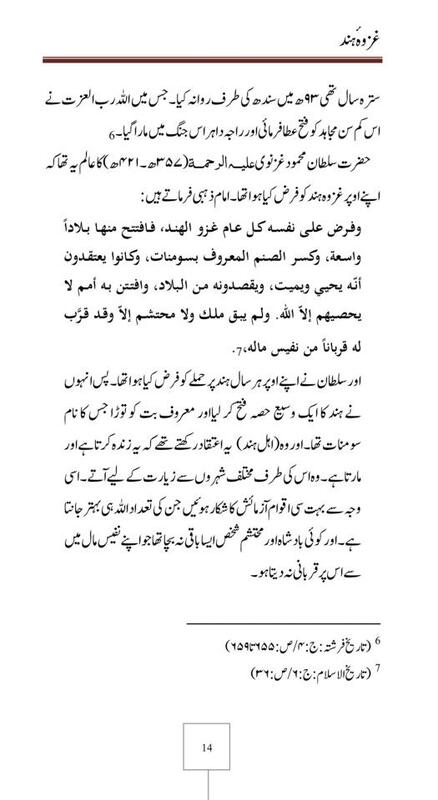 Third mistake is some of us consider that Ghazwa-e-Hind will be conducted before or without Imam Mahdi (a.s) and Prophet Isa (a.s). 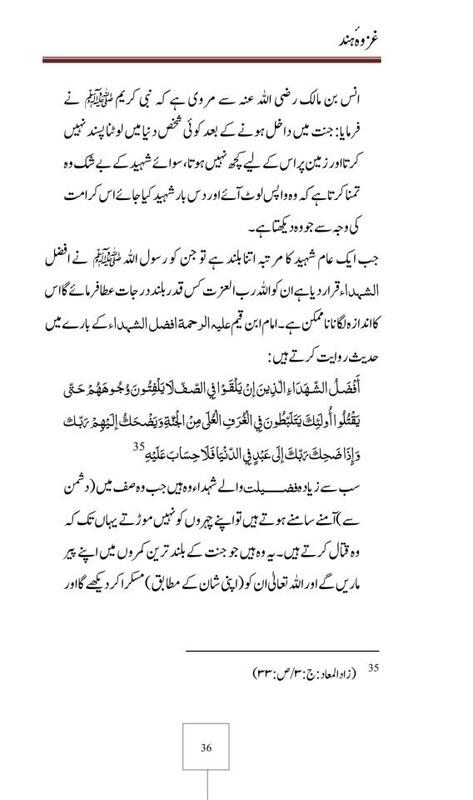 Hadiths is above book prove Imam Mahdi (a.s) will conduct this Ghazwa and send troops to India and Jerusalem at same time. So it is my opinion that Ghazwa-e-Hind should be our second priority. Our first priority should be creating Caliphate of Imam Mahdi (a.s) and Prophet Isa (a.s) by helping them. Mr.Faisal Farooq I tell you to stop spreading your misguidance and doubts in the minds of ordinary Muslims regarding Shahada and status of hindus(Mushrik) and yahood.These things are very clear from Quran and Hadith.Things are not like in your own mind.It seems like you are hired and payed for spreading such misguiding on the net in order to keep muslims sleeping but i warn you that Plans of Allah are Perfact. 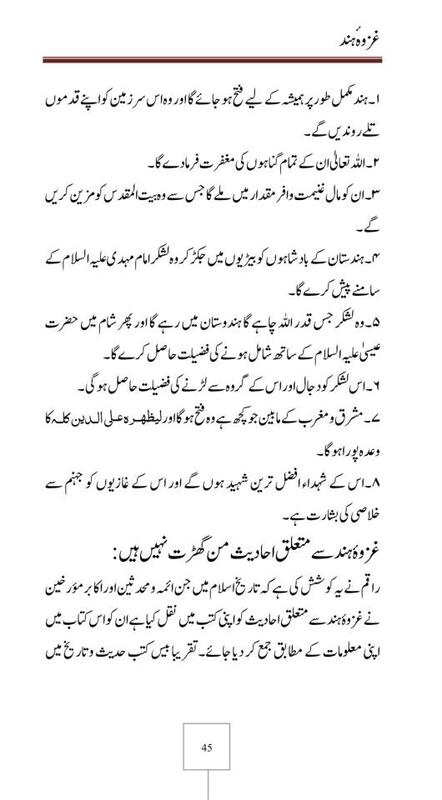 Why it is called Ghazwa-e-Hind. Baba jee explained it in detail. @"It seems like you are hired and payed for spreading such misguiding on the net"
India has craze to buy gold. In last years India is one of those countries who bought gold from all markets. 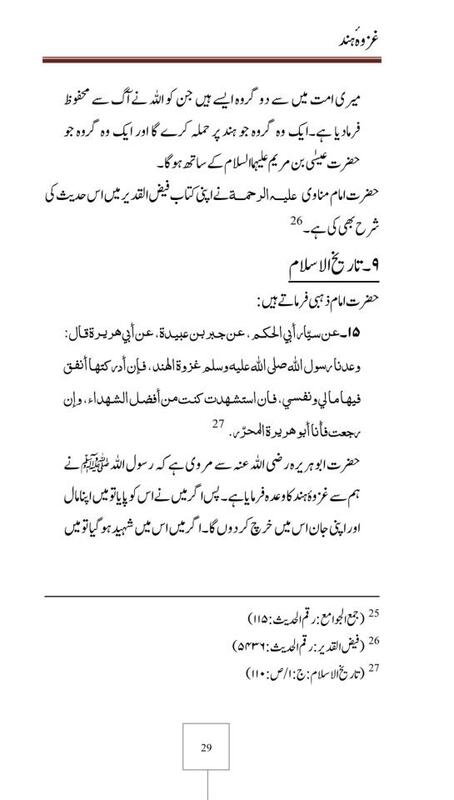 Prophet Muhammad (saas) foretold in hadith of Ghazwa-e-Hind that gold of India will be used to build Masjid of Solmon (a.s) and Caliphate in Jerusalem. “A King (Imam Mahdi) of Jerusalem (Bait-ul-Muqaddas) would make a troop move forward towards Hindustan. The Warriors destroy the land of Hind; would possess its treasures, then King would use those treasures for the décor of Jerusalem. That troop would bring the Indian kings in front of King (of Jerusalem). His Warriors by King’s order would conquer all the area between East & West. And would stay in Hindustan till the issue of Dajjal”. Faisal Farooq@"Yes US company paid me every month because I am working in their branch in Islamabad but for developing their software"
Actually every thing works on Allah's Plan, Allah chahe to sari dunya musalman hi paida farma deta, woh to dono jahanon ka paida krne wala hai..........Allah hi Haq mein se batil aur batil mein se Haq nikal leta hai jaise din mein se raat aur raat mein se din, aur kon hai jo uss ka hukm taale, kyun k Allah ke siwa kisi ki taqat wajood hi nahin rakhti..........Issi liye to Allama Iqbal ne farmaya k Musalman faqt Ahkaam-e-Elahi ka hai paband. 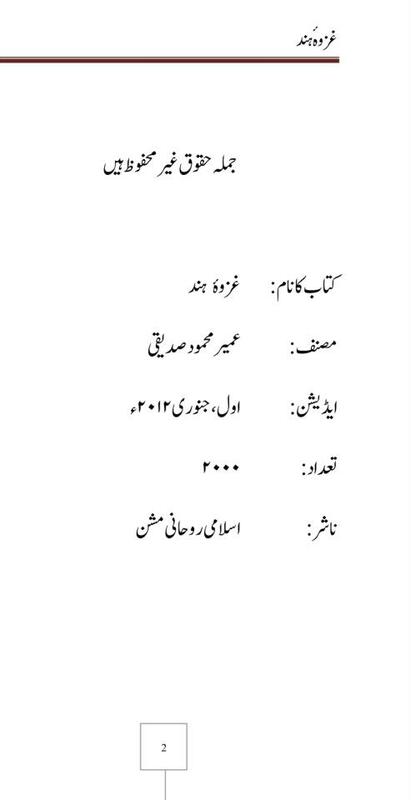 Meri request hai Allama Iqbal ki book Zabur-e-Ajam zaroor pahain ta k haqiqat samajh mein aa sake. 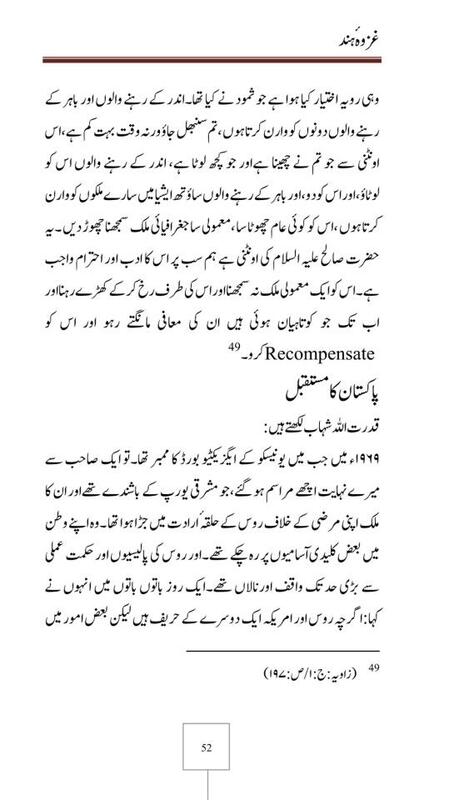 Mein uss book mein se post karne ki koshish karoon ga, although meri koi hasiyat nahin is maamle mein. Kash humain Iqbal wali nazar aur ishq atta ho jaye. Muslim Hollywood producer Mr. Kamran Pasha was born in Karachi, Pakistan and immigrated to the United States at the age of three. He attended Stuyvesant High School in New York, graduating in 1989. He went on to Dartmouth College, where he majored in comparative religion and served as an editor of the college newspaper, The Dartmouth. After graduating, Pasha worked as a journalist for the Wall Street publisher Institutional Investor and the Knight Ridder financial newsire. During his tenure as a reporter, he interviewed international leaders such as Israeli Prime Minister Shimon Peres, Pakistani Prime Minister Benazir Bhutto, and Peruvian President Alberto Fujimori. He left the journalism world in 1996 and attended Cornell Law School. He subsequently enrolled in the MBA program at the Tuck School of Business at Dartmouth, and graduated with a joint law/business degree in 2000. Pasha sold his first two novels to Simon & Schuster in 2007. The books are entitled Mother of the Believers, a historical epic that follows the birth of Islam from the eyes of Prophet Muhammad's wife Aisha, and Shadow of the Swords, a love story set amidst the showdown of Richard the Lionheart and Saladin during the Third Crusade. Pasha wrote his first video game for hip hop artist 50 Cent in 2008. The game, entitled 50 Cent: Blood on the Sand, is the sequel to the bestselling title 50 Cent: Bulletproof and is being distributed by Vivendi Games. In 2008, Pasha accompanied his mother on the hajj, the traditional Islamic pilgrimage to Mecca. Pasha was voted as the #3 "Coolest Desi of 2008" by Desiclub.com, a popular South Asian website. He was also cited as one of the top 10 famous Pakistanis by website Divanee.com. With all due respect dear bro Faisal, what this pasha has anything to do with revival of Islam or Muslim ideology, Sunnah or even Pakistaniyat? He is just as amerikanized as any dark skinned fellow air dropped in the middle of New York at the age of 3! How and why should he be admired and praised for his works and series of works that are no different than that of any other westerner? Just because he can recite Kalima and blogs on huffington post about Islam, I find it a bit hard to applaud him as a role model for Muslim and Pakistani youth when we have the likes of chinoy ubaid to promote our good name abroad! 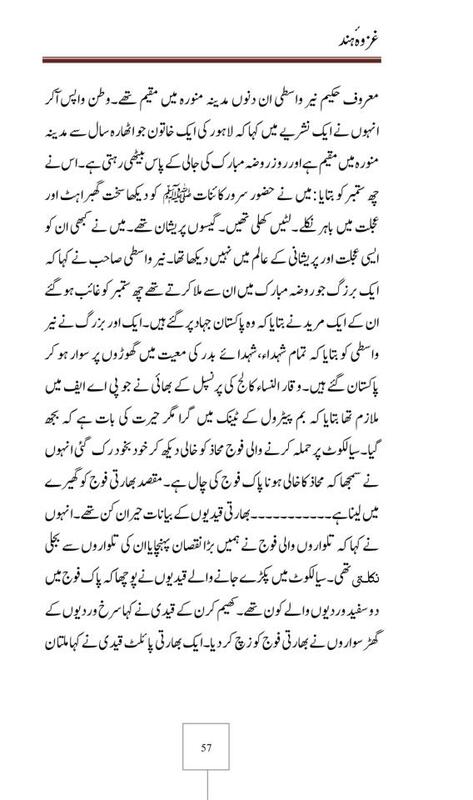 I am extremely sorry if the sharp tone of this message has hurt you, but you see my dearest bro, Muslims of Hollywood origin are as much a tool of Dajjali system as some Luc Besson or Michael Mann and I find it hurtful when these people who have to nothing to offer, neither to Islam nor to Pakistan get promoted as soft face of Islam and Pakistan! I hope you will forgive me for it. Brother he didn't do anything for revival of Islam. 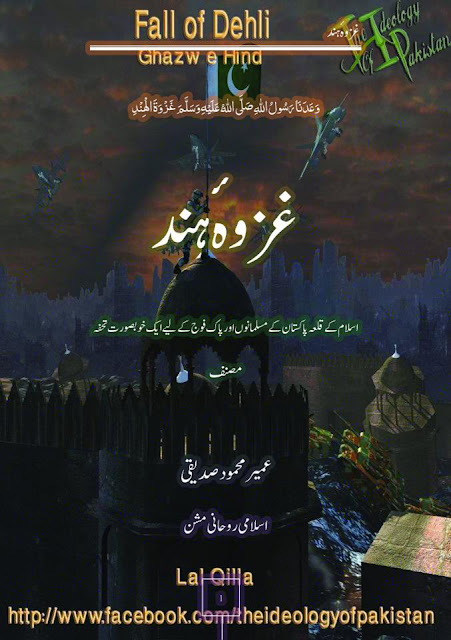 He wrote only two novels 'Mother of the Believers' about Hazret Aisha (r.a) and 'Shadow of the Swords' about Saladin. He read comparative religion as major course. You are true he did nothing but he is influenced person in US and in future he can serve Islam and Pakistan more (I think so). Islam also target influenced persons. His above interview with Dr Oktar Babuna (student of Harun Yahya) is for importance of Art and Science for Islam in today's age. Without education of Art and Science we can not represent Islam in whole world. We are backward because of lake of education of Art and Science. He said in his interview we have build Taj Mahal, musical instruments and did other scientific discoveries in our golden age. Today we can't because of lack of knowledge. Many of us still believe these type of education is Haram. We believe taking/making pictures and music are Haram even for education purpose. How can we compete with our enemies? How can we defeat Darwinism (black science) without using art and science? That's way I shared this interview. Here is an interview on Asia Times Online (atimes.com) with a crusader sniper victor kyle of US Navy Seals. Read how he boasts about killing 255 patriotic Iraqis who were trying to fight off the invading crusader hordes. He is termed the most lethal amerikun sniper in US military history with 160 confirmed kills out of 255 claimed by him in Iraq. His first kill was that of an Iraqi woman who tried to attack a crusader base with a grenade alongwith her young son. He says that he hated that woman for attacking the base, endangering the occupiers and hated her for making him kill a woman. When the woman came at the base he shot her, making her drop the grenade which kill her child too. Can this offspring of pigs and monkeys explain why he had to be in Iraq to kill that woman and her child for defending her land? Why this maggot did not refuse to join an illegal invasion in the first place rather than hating a woman for trying to fight off the invaders? I pray he and his devil worshiping ilk rot in the deepest pits of hell. Ameen sum Ameen. He never felt any remorse for what he had done. On the contrary, he regrets that he had to prematurely retire from the force preventing him from killing more Iraqis. Check this gloating crusader vermin out! Ironically enough he does not think himself to be blood thirsty! This interview reeks of the arrogance of a general merikun grunt or a civilian he/she is stuffed with while dealing with the rest of the world. They talk about killing or committing genocide as if it is as normal and routine as brushing their teeth. Amerikuns indeed are the ‘long knives’ extensively being used by Jews to pile up butchered up corpses of the people of Madina Tayyaba! Honestly, I believe from the core of my heart that merikuns are the worst horde this world has suffered for the last couple of centuries. It is time they cease to exist for good for the benefit of whole Humanity. Starting from systematic genocide of natives of North America to this very day and their bloodlust is still young…now they are eying us to quench it! My dear Brother don't forget british (especially english) because there is no difference between an american and an english. They're fooling the world on basis of nationalism. They are same people but with different name. Like a business when your good will become too bad you just change the name of the firm but your policies will stay the same but you introduce few changes in short term. So, people can't identify you.. Yes brother, I received the documents, InshaAllah I will post them after few more posts on Ghazwa-e-Hind. thanks for your contribution. Mein app ke bheje huwe documents se related mazeed aik aur post bhi kar dun ga, bus kuch din wait kar lain...!! 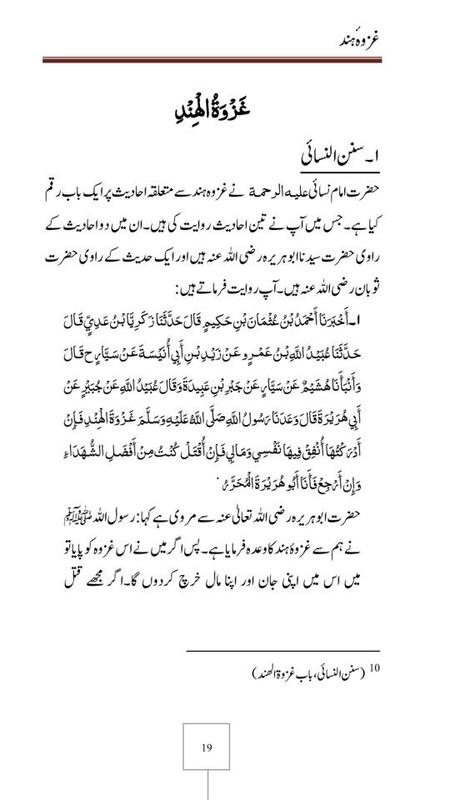 Inn Hadiths say sabit hota hai ke musalmano ke liya Palestine(Bait ul Muqaddas) aur Kashmir o Hind ke azadi kitni aham hai. 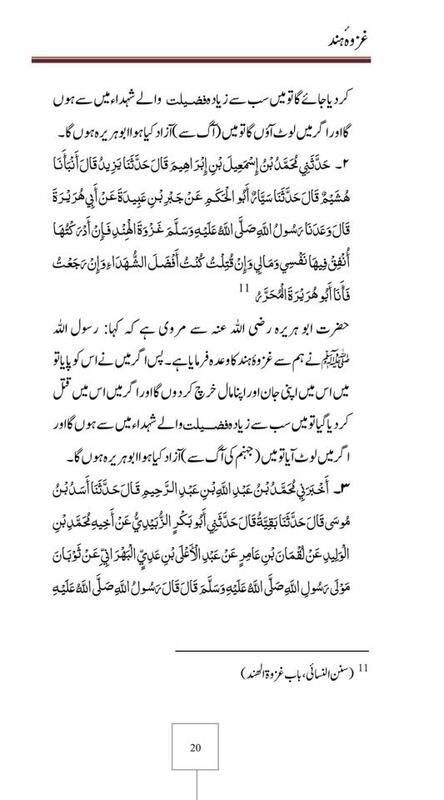 Iss main shareek honay walay musalmano ko jannat ke basharat de gai hai.Musalmano ko khass tor par unn logon say hoshyar rehna chahye jo aman ke asha aur yahood jesay makar quom say dosti aur bhai charay ka nakam raq alaptay hai. InshaAllah next kuch mazeed posts bhi Ghazwa-e-Hind par hi hon gi....You will see kafi log aik hi basharat de rahe hain k India ne aik din fatah ho jana hai yehi taqdeer likhi hai Allah ne India ki. I am a retired armed forces person and still on emergency list (means I will be recalled when Pakistan goes to war). I cannot wait for the time and anxiously look forward for that day when I lay down my life for Pakistan or set foot on captured india. 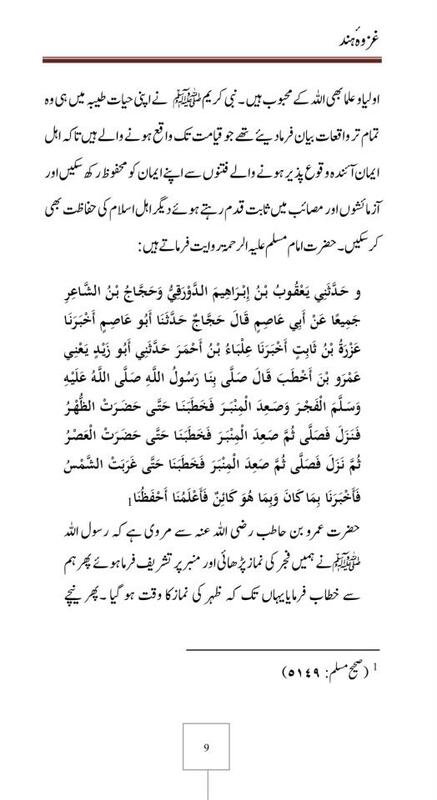 mashallaha. allaha aap ko hamesha kamyab karey! Heran hon ke roaon dil ko ya Jigar ko peeton. Himaqat or Khudpasandi ki bhi koi inteha hoti hogi lekin hamari qom sab kuch paar chuki hia. 70 to 80 percent qom ke pas khane peeno ko nahi, pehenne ke liye munasib libas nahi, taleem nahi, Ilaaj nahi, bhook se bilatke hoye bachon ke liye doodh nahi, doodh mile to bhi milwat wala, koi qanoon nahi, zulm ki inteha nahi, or khuwab or bongian dekhain to aisi ke aisa lagta hai Pakistan abhi se sari dunya ko fatah karchuka hai. Hamari Fouj ne aaj tak Bharat se jitni dafa jang ki hai , har dafa moon ki khai hai. Na sirf jang haar gayi balke tareekh me pehli dafa 90 hazar apne fouji bhi bharat ke qaid me diye. Lekin khudpasandi ka yeh alam hai ke kiraye ki tatoo fouj zabani kalami har mulk ki fouj par bhari hai. haqeeqat main to pakistan ki fouj dunia ki sab se bari mercenary fouj main shumar hoti hai. Is fouj ne aaj tak sirf apne hi musalmanon par fatah hasil ki hai. doosre lafzon main hamari fouj ne sirf punjabion ke khilaf koi jang nahi ki baqi sab ko mara hai. To bhaio or behnon, aap is kiraye ki fouj or USA ki ghulam fouj ke gernailon se yeh tawaqa karte hain ke yeh India se jang karain eg or jeet bhi jayain ge?. 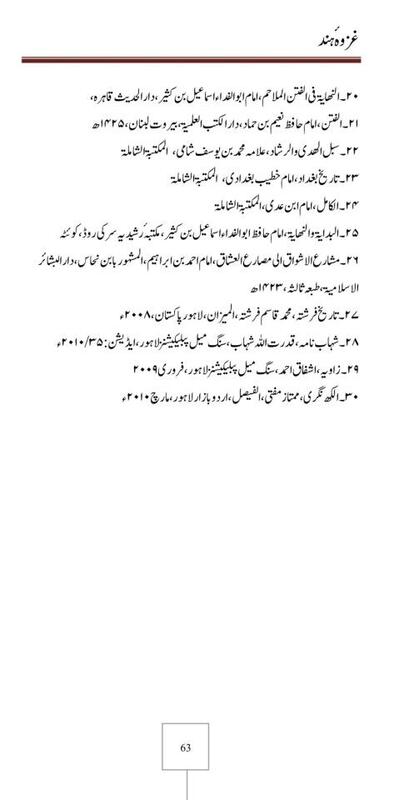 Jahan tak baat hai Army estabilishement ke paltoo danishwaron , likharion, or idaron ki, yeh log to 1971 main bhi pak fouj ki kamiabi ka marsuda qom ko suna rahe the, lekin qom ko asal baat ka us waqt pata chala jab mulk toot gaya. 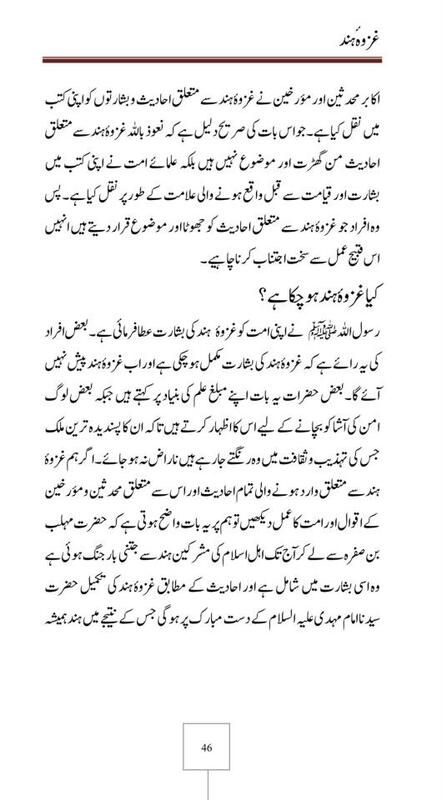 Ajj hi Hamid Meer ne apne column main mard-e-momin or marde haq ki asliat byan ki hai jo kuch khudsakhta sufi hazrat ke nazdeek kisi wali se kam nahi hai. Zaroorat is baat ki hai ke hamain apni tarbiat ki zaroorat hai, dosron ko fatah karne ke bajaye hamain is baat ko yaqeeni banana hai ke atleast jab koi non-pakistani hamara zikar kare to kam az kam hiqarat ke sath na kare. 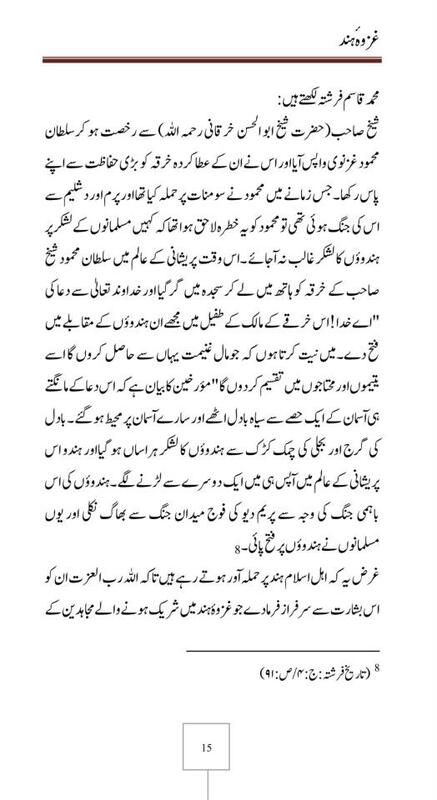 Ver Good Umair Sahib.....Great participation by a writer for Islam and specifically for Pakistani Muslims. "First mistake is that they are looking a shortcut for going to paradise by doing Ghazwa-e-Hind. I mean without doing any struggle they want to engage war with India, kill them and kill themselves. Our first struggle should be correcting ourselves (Jihad-bin-Nafs)"
"Not only who dies but all are Shaheed who gave witness of struggle for Islam using their actions. This is rank given in Hereafter like Sadeeq, Shaheed, Momineen,..."
"Hamain ba haisiat Ummat kay aik fard kay apnay aap ko darust karna hay aur saath hi saath Muashiray kee tarbiat bhi apnay behtar amal aur behtar guftar kay sath karnee hay aur muashiray main Akhuwat, bhai charay aur eesar ko farugh dena hay....Jab tak ham apnay Nafs kee khawahishat per qaboo naheen pa saktay aur doosron keliye eesar ka jazba paida naheen kar saktay aur apnay faraiz kee taraf tawaju naheen day saktay aur unhain poora naheen kar saktay tab tak ham Aqwam e Alam par ghalib naheen aa Saktay.......Hamain apnay Aslaf kay kirdar ko apnana ho ga aur guftar kay saath kirdar kay ghazi ban'na ho ga.
" Actually every thing works on Allah's Plan, Allah chahe to sari dunya musalman hi paida farma deta, woh to dono jahanon ka paida krne wala hai..........Allah hi Haq mein se batil aur batil mein se Haq nikal leta hai jaise din mein se raat aur raat mein se din, aur kon hai jo uss ka hukm taale, kyun k Allah ke siwa kisi ki taqat wajood hi nahin rakhti..........Issi liye to Allama Iqbal ne farmaya k Musalman faqt Ahkaam-e-Elahi ka hai paband." Pakistan kay saath yeh sub kuch kab tak hota rahy ga? HUM ALLAH say kion nahi dartay hum kab apnay kiay per sarminda hon gay muafi mangay gay kab akhir kab????? 1. This site is dedicated to rekindle hope for better days for not only Pakistan but for the whole Muslim Ummah. (which makes it probably the most hated site on the net for hasan nisariya cult who, just like a housefly will seek and love to sit on the open wound or a sore leaving aside the rest of the healthy body, they thrive on pain and sorrow only like mischievous Hollywood demons). 2. 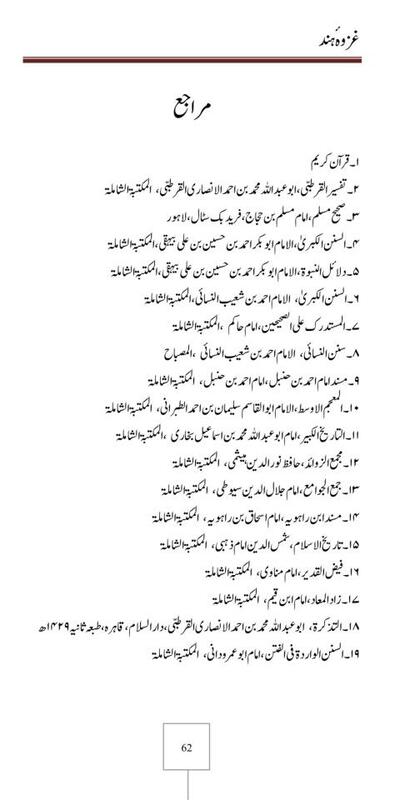 Promotion of love and respect for Islamic Republic of Pakistan in the light of sayings, glad tidings, warnings, prophesies and “khuwab or bongian” by “Army establishment kay paltoo” saints such Allama Iqbal, Wasif Ali Wasif, Qudratullah Shahab, Baba Irfan ul Haq, Prof. Maqsoo Ilahi, Sufi Barkat Ali (Rehmaullah Ajmaeen) etc. (list can go on) is the next primary goal of this blog. 3. The site aims at rekindling the hope of salvation through personal grooming in terms of spirituality, or simply Tazkiya e Nafs aur Khud Ehtisaabi on individual level. 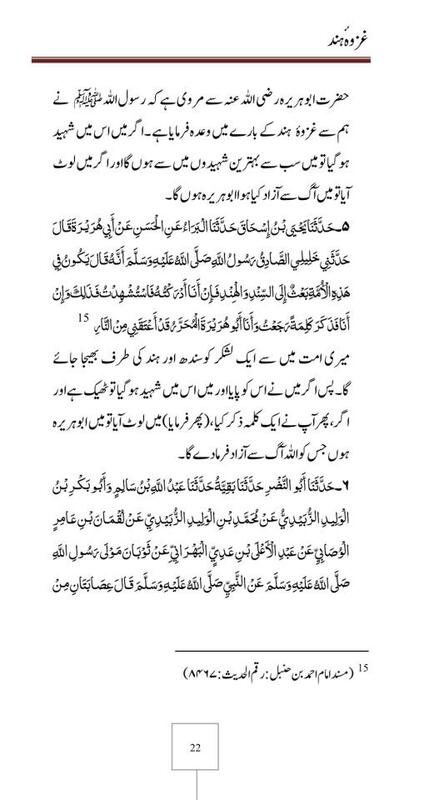 Each one of us present here who are pained at the condition of Ummah in general and of Pakistan in particular, find it closer to our heart to take a deep look into our own selves and strive to bring about a positive change in our immediate existence and to our surroundings according to the dictates of Quran e Kareem and Sunnah of our Beloved Prophet (Sal Allaho Alehe Wassalam). 5. By no means we consider ourselves to be the best people in the world or the best Muslims even. It is just that we strive to be as better a Muslim as much as we could, trying to make a difference wherever we are in whatever situation. If by some chance nisariya cult has acquired telepathic perception (which seems to be the case here) they might just as well have a peep into our minds and compare it with what they may find in the manure infested brain of a pseudo intellectual columnist living in a luxury villa at right about 12:00 am! I am sure these telepaths right out of a Marvel comic will find a rather ‘liquid’ “khudpasandi” in there too alongwith many other pleasantries! 6. We believe in supporting every effort being made by anyone that serves the interest of the Ummah in general and Pakistan in particular and seek to annul the venom and pain being injected by miscreants, traitors and demoralizors who are at their task 7/24. 7. As far as the role of Pakistani Military in our history is concerned we never condone the most heinous acts committed by a few accursed people in authority. Admittedly many lower ranking ones did play their part too in the dirty games. I myself loath many things that have come to pass in last few decades and cannot shake them off. If I could, I would like nothing more than to dig up the graves of Yahya and Niazi and hang what is left of them on the poles! I am all for ripping the throats of the four generals responsible for Kargil tragedy, not only for destabilizing the whole region and Motherland but for throwing away ‘heeray moti jesaay’ Officers and Jawans to this futile and extremely costly personal adventure! Does anyone know what sort of gems we lost in Kargil? Kernal Sher Khan Shaheed (NH) and Lalak Jaan Shaheed (NH) are the only ones most of us are aware of, but there are lots and lots of them. Mujhahideen, soldiers from all provinces and regions of the nation shed their blood in unison in this debacle. And the Traitor In Chief responsible for this mess is seated with ease in some hole on Edgware Rd.! 8. Despite all that has happened and sometimes still happens, no one has the right to condemn the entire Army. When we go about foul mouthing Army, we forget that for the last 65 years this very Army is the one which is standing between us and a most brutal Indian occupation! Yes, most of us and our elders have known what it is to live under constant threat such as a Hindu and a deranged sikh (mine know). Given the track record of our political leadership, their selfishness, treachery, spinelessness and shamelessness, if it was not for “dunia ki sab se bari mercenary fouj” we would never have acquired the status of a nuclear nation. In fact we would never have remained an independent sovereign nation! Indians never digested our existence and the Russians, since the days of czars always dreamt of washing their feet in the waters of Arabian Ocean! Aqalmand ko ishara kafi hota hai! 9. On the other hand let me present you with a scenario of an all out war with India/NATO/US Zionist alliance: what on earth is going to be your response to the ‘shock and awe’ campaign by your ‘biradar humsaya mulk’ and your benevolent fair skinned ally and mentor? How will you respond to the wounded coming from the front? Will you secretly go in the hospitals wearing a surgery mask and inject the wounded soldiers with poison or will you try to make contact to the most kind hearted benevolent united states marine corps to point out our defensive positions, all in order to go about your noble cause of ridding Pakistan of this “dunia ki sab se bari mercenary fouj”? I know, you would rather welcome kicked and punched about by some capt. Raj kumar or SSgt. Bales than suffering to live in a country where Army is the most powerful institution, right? 10. Those who whine about perceived injustices committed by Punjab upon other provinces and their people, tend to forget that a vast majority of Punjabis themselves are bearing the pangs of a most vicious tyranny by the feudals and every type/size of political/criminal rogues infesting cities, villages and towns! To whom they should turn for justice? 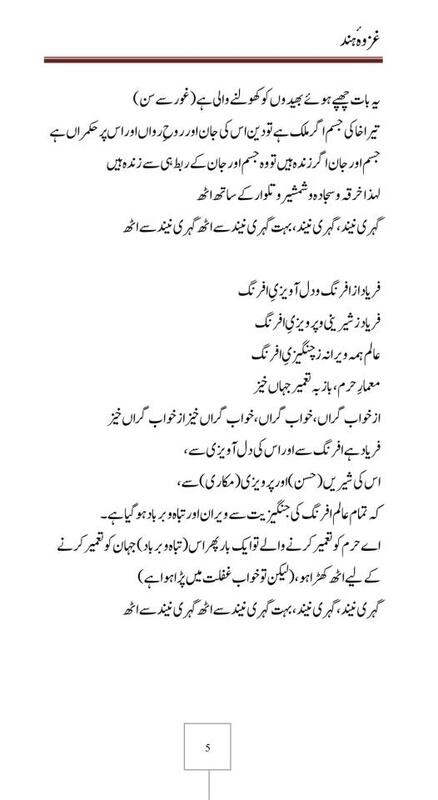 The truth is we ALL should turn to Allah SWT for Guidance, Rehma and Justice be that Balochi, Sindhi, Pathan, Punjabi, Mohajir, Kashmiri or Juna Garhi! While pointing finger at Punjab for the sake of waking up ‘ahmaq and khudpasand’ people you are ultimately doing your bit to increase and inflame ethnic divisions. It was only yesterday that a friend texted me joke about pathans (as is the horrible practice), I rebuked him in stern words as this practice is contrary to the principles Pakistan was found upon and I am neither a Punjabi nor a Pathan (if it comes to my ethnic classification)! I am only Muslim, follower of Rasul Allah (Sal Allaho Alehe Wassalam). My identity is: I bear witness that there is no God but Allah and Muhammad (Sal Allaho Alehe Wassalam) is His slave and Messenger! So it should be the identity of all! 11. As far is hamid mir and his brother amir mir are concerned, they have the most dubious past and present dealings. I always find it hard to reconcile myself with what the big mir writes. While little mir has filled up the shoes left by Syed Saleem Shahzad in Asia Times Online and is even doing better than the late journalist! His articles will leave you with confusion if this guy is actually a Pakistani or not. 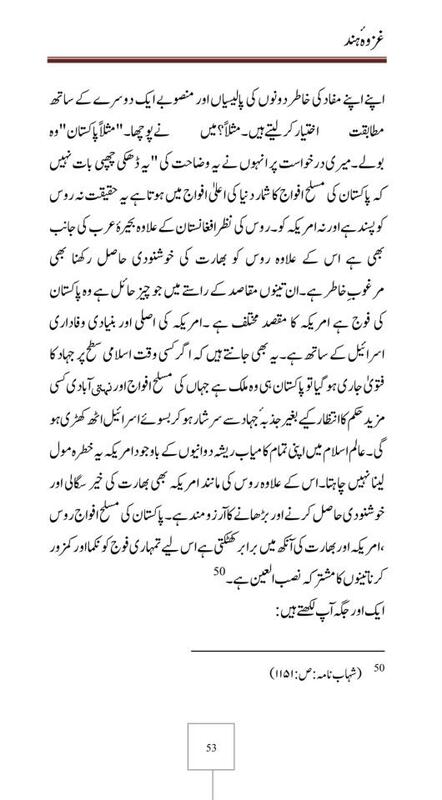 Saleem Shahzad is nothing compared to what this fellow is writing about Pakistan and getting pats on the back by CIA. So I would not give any credence to what they write these days and there is genuinely no need of falling over each other quoting someone named farkhanda bukhari who, till now opted to remain obscure from public view! Nice timing though! 12. 99% of these cultists, secular fascists, foreign funded bigots, racists (of all denominations), sectarian fanatics, takfiris, rafidis, get their stomachs churning when they hear of implementation of Islam, akhuwwat, brotherhood, Ideology of Pakistan and Pakistani Military. Instead of lighting up their own flame the nisariya cultists keep whining about the darkness and do nothing productive nor support any such effort which might alleviate the pain of their countrymen! Please do something to alleviate the pain of “70 to 80 percent qom” rather than just ranting about injustices. 13. Why should I feel myself responsible for what some trash named bilal khar did to a poor soul, what aslam madhyana did to a school teacher, what waheeda shah did to a polling officer and what countless psychopaths have done to the innocent girls and are still doing? Whatever the “non-Pakistani” has to say about me should say about myself only if he or she finds anything worth saying. I cant bring myself to appease anyone assaulting my nationality or origin because someone from my country committed a horrible act! IinshaAllah all those who are responsible for bringing a bad name and pain to this nation whether they hold a green passport or any other colour will get their just reward in this very life…I hope sooner than they expect! I would have never even have written this response, let alone its tone if you hadn’t insulted our intelligence and standing. Well these are not comments, these are scud missiles fired on the camps of enemies and shattered everything there. I am seeing some 'smoke' from their camps....!! This blue‐colored dome is a bubble in the sea that you are. Ghazwa-e-Hind ki Ahadith ka matlab hai Hindustan ne lazmi fatah hona hai aur iss tarah fatah hona hai k kufr ka humesha k liye khatma ho jaye.....!! I agree with Faqar that your comments are scud missiles. We did not lose all the wars. The area which is known as Azad Kashmir was WON by Pakistan in 1948. Pakistan Army along with the patriot tribes of northern areas participated in the war. The Indian occupied Kashmir was never won by India, as Hari Singh acceded Kashmir to India and India deployed their forces there, however Pakistani won that part of Kashmir which is now known as Azad Kashmir. Regarding 1965, we did not lose that either. Had we lost that war, we would have lost Lahore. The attacking army was huge in numbers compared to our army and our victory was that we held out to our region. We gave away Barki, but we captured Khemkaran. A real neutral would say that 65 was a draw, but we consider it our victory as we managed to hold on against the mighty aggression. 1971 was a lost cause from the start as the enemy had infiltrated East Pakistan before the war and whole of the population was against the army due to propaganda or whatever. We acknowledge that was a lost war by any means, though Indian generals admitted that Pakistan army fought with great courage. But then again, when we see that Muslims got a real set back in Ghazwa-e-Uhud, and our Holy Prophet (S.A.W.W) lost his teeth, what are we or Pakistan to complain if we lost our Eastern wing. But Muslims united after that, and then followed a great streak of victories. Agr hum khud ko glorify na krein, tu khud ko lanaat bhi na dein.. We are Muslims and we should always remain hopeful. As "mayoosi gunnah hai". Our house is not in order, but that is only due to our corrupt leadership, we should always pray to ALLAH that He changes the fate and sends an honest and clean leadership. Regarding India, we have no other option but to prepare ourselves for the inevitable, a war. When they had a chance to break our country they did, there is no doubt that they won't do it again, and those Aman ki Aasha kinda people are going way too ahead of themselves by giving them MFN.. Two Nation theory is our root and we should never leave that. Also, thanks brother Baktar for such a comprehensive reply. Allah created two-nation theory. People who believe in Allah, Rasool Allah (S.A.W.W), Quran, Ahadith,...,Islam are one nation and who don't believe in Allah, Rasool Allah (S.A.W.W), Quran, Ahadith,...,Islam are one nation. 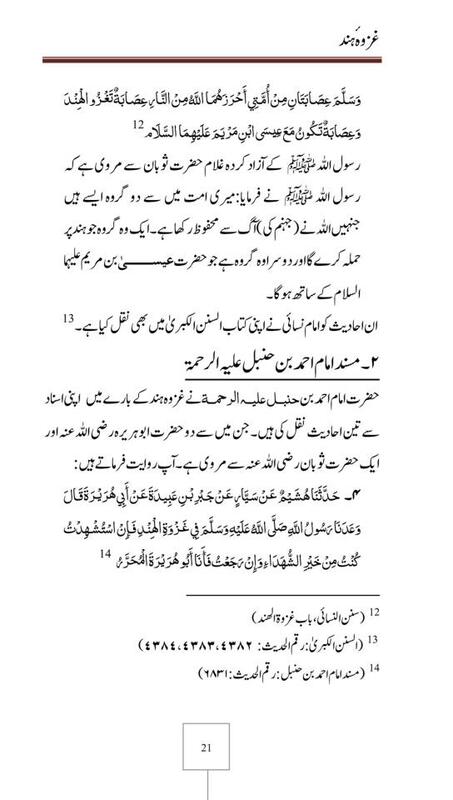 Muslims can never be kuffar and kuffar can never be Muslims, Two nation theory is base of Islamic belief system and it will never change. This is what Quran teaches, see Surat Al-Kafirun. I wish I could have such a writing power and clarity of thought. Humari english to 2, 3 fiqron ke baad khatam ho jati hai. Insha Allah very soon ARABIC will be our National Language. So, don't worry my Brother then you can write as mush as you can with full clarity. you may download images and make Pdf through (Image to Pdf) software. When time will I will let you know. Allah has bestowed me light and like any other Muslim. I just started using it and the journey was bumpy but interesting. look like 2nd malik step on zaid hamidi's puppets tails. Mr Barkate noor, it look likes you spent almost all of your time on these useless rants defending your evil land. Pakistan is the dark stain on the fabric of muslim ummah. Pakistan army is the biggest killer of muslims. Either its mass killing of palestinians in Jordan (Black Sunday) by the evil and free masonic dajjali agent zia ul haq or by the order of musharaf and kyani killing pathans and qabailiis of northern pakistan. pakistan is the lanat from Allah not blessing. Since this devilish country formed, nothing come out good from its soil. I would say bangalis are far better muslims than so called muslims of pakistan, thats why they got seperated from this mardood country and from napak army. There are two countries which have continues lanat and azaab from Allah. First is Afganistan and 2nd is Pakistan. I pray Allah that pakistan will soon break into atleast 10 independent states OR USA and INDIA will take over this evil land so the helpless people of pakistan can have true lifestyle. Faisal Farooq why are you fighting in two fronts you are speaking to languages???? I know according to Ahadith of Holy Prophet (S.A.W.W), India will be captured completely and idolatry will be eradicated. Whole India will come under the banner of Islam so I am not worried about your comment. As its part of my belief that whatever Holy Prophet (S.A.W.W) has informed will be the written destiny and going to happen one day. 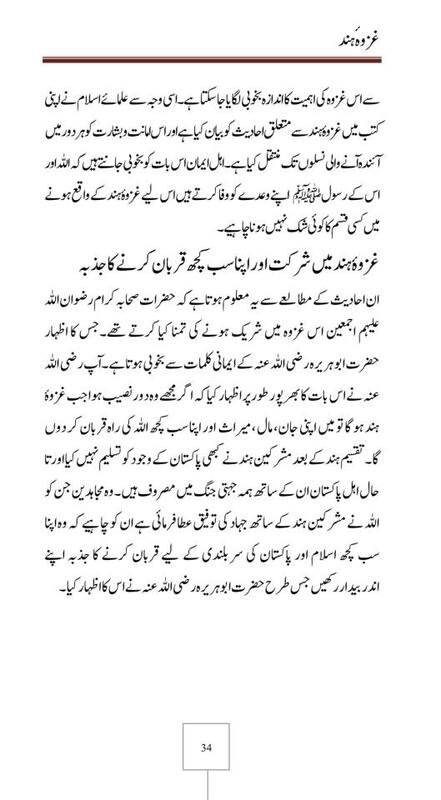 As Baba ji Irfan ul Haq said, Pakistan is created for Ghazwa-e-Hind to fulfill the Ahadith Mubarika. No matter how hard you try to hide behind masks, we can tell an undian from miles away, guess how? Well, for starters, cow dung and piss betrays you whenever you try to stink your filth around. Surely its looks like I am the one who has stepped on some rats tail eh! Perhaps after getting an epic beating here, that nisariya went crying for help to his ‘friendly neighbour’! That explains your rather rushed presence here, right? The manure stuffed in your upper portions makes you dream impossible dreams such as doing away with Pakistan which have no chance of coming alive for at least a mellenia to come and long before the end of it you’ll long be bashed to the kingdom come. Pakistan is here to stay and no matter how hard you and your backers in Washington and tel aviv try to erase our love and concern for our sacred motherland and its defence apparatus, you will miserably fail. To all the patriots on this blog: Let this be a great news to you people, the violent intrusion of these two vermin speaks for itself that this blog is being closely observed by the enemies of Allah and you are making a difference. They cannot digest it when, despite all their best efforts we still hold fast to the hope for salvation as per clear orders from Allah SWT. Let me tell you that this blog makes them roil and boil and they employ all sorts of dirty tricks to have us defanged. If ZH or noora dudh dahi aala or sheeda sabzi aala are doing their bit for the cause of Pakistan and Ummah they have our support to the hilt. We, out of our inherent responsibility as Pakistani citizens are bound to defend interest of Pakistan and Ummah and will keep doing so till we are no more. On this forum, only those of the patriots who have means to speak are here, but there are billions upon billions who will gouge the eye out that sees the nation with evil intent, be that your western backers or the eternally accursed jews. And rat: Tum per aur tumharay pusht panahon per Allah Qahar or Jabbar aur tamam makhluqat ki kabhi na khatam honay wali lanat ho! Watch very closely, bring others too and order crates of valium for you are gonna have sleepless nights in the days to come. The new dawn is about to break!! Faisal bhai please stop following adnan oktar, here is a video where he is enjoying english pop songs with immodest women sitting beside him. This not person we should acquire Islamic Teaching... in fact we have plenty of excellent Islamic Scholars to approach to.. who practice and are extremely sincerely in imparting Knowledge to people. 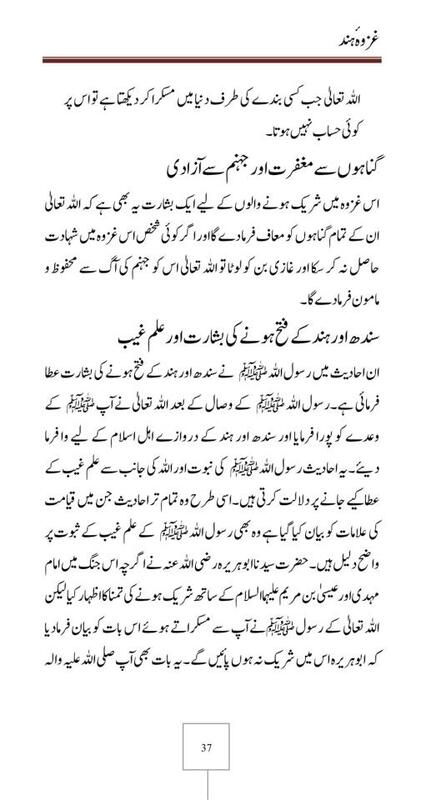 We need to approach such Ulema for guidance .... not dubious people... as brother.. i have tried to aware and caution you. note women not properly dress, immodest. @"Faisal bhai please stop following adnan oktar"
I can't :) I am following my master Adnan Oktar from long time. @"here is a video where he is enjoying english pop songs"
I have seen and discussed this video many times. I see his videos and lectures daily. He never hide his appearance because he is not hypocrite like our some scholars. He is serving Islam from more than 30 years. In his student life he has used his inherited property in serving of Islam. Also he has faced Jail and mental hospital for Islam. Why I can ignore him by looking this out of context video? Why people don't point his hundred of other videos related to Islamic topics? Enjoying is blessing of Allah. In every video he enjoys. If we will enjoy in Paradise then why we cannot enjoy in this world? Islamic Scholars can also play, listen music, see TV, walk in parks and sea sites.... Music is Halal or Haram is a long debate. Some says it is totally Haram and some says usage of Music makes it Halal or Haram. I can prove from Hadiths Prophet Muhammad (saas) forbade music but also allowed music in some events. Yes English lyric of these songs are not good but I think you know he doesn't know English. Some says sitting with women i.e. mix gathering is Haram. Some scholars say men and women cannot sit together in public like in classrooms and weddings but some scholars say it is only prohibited in seclusion i.e. in public men and women can sit together. Even a famous Imam said single man can sit with multiple women in seclusion but vice versa is Haram. For Islamic serves it is totally Halal that a man can sit among multiple women for propagating Islam to them. We can find it in Sunnah also. Prophet Muhammad (saas) preached Islam to uncovered ladies in markets. You know people of mecca were used to do tawaf kaaba without cloths. Companion of Prophet (saas) never closed their eyes to preached uncovered people.... Prophet Solomon (a.s) preached Islam uncovered Queen Saba and Prophet Moses (a.s) talked with unknown (na-muharam) ladies. @"with immodest women sitting beside him." As I told you about Islamic view of sitting a man with multiple women. For calling immodest these women... It is totally unfair. I know some of these ladies. I know their awareness about Islam which is more than us. Without knowing calling immodest is a great sin. I am seeing these all noble ladies in his most of videos from last few years. These are representation of A9 TV channels and his students. One of them is Christen, some are guest and some are students. Some students wears full Hijaab. Adnan Oktar never say to them wear full Hijaab or don't wear it because there is no compulsion in religion. You never find any punishment in Sharia for not wearing Hijab. So govt. or any person cannot force to any lady to wear Hijab. Only father or husband can say to their females. @"This not person we should acquire Islamic Teaching... in fact we have plenty of excellent Islamic Scholars to approach to.. who practice and are extremely sincerely in imparting Knowledge to people. 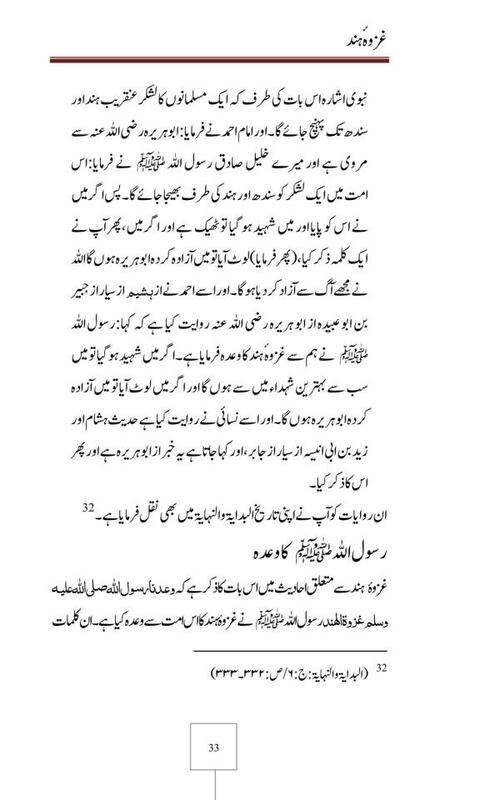 We need to approach such Ulema for guidance .... not dubious people... as brother.. i have tried to aware and caution you." Did you never read his books? He have wrote over 300 books about Islam, made hundreds of videos and presentation about Islam, Muslim Ummah and Islamic Union. He is one only who wrote against Darwinism, Communism, Capitalism, Fascism, Nazism, Free Mason, Karma, Bhudism in every language. Anyone can read this book free of cost. Faisal yar, whatever you say....this is almost upside down...khird ka nam junun aur junun ka khird rakh dia jae! this is way outta our league. Is it what we are looking for? is it what we are suppose to follow and imitate? Sorry, but i cannot in the least digest it. There are still people who will absolve amir liaqat hussain from all wrongdoing even after watching famous compilation of his unguarded moments! What is wrong is wrong, and what is right is right. Aur jani, yar kuch to khayal karo! yar we can see and hear what is in that video, it is not some david copperfield's illusion which is not what it appears to be! I am greatly disappointed...rather disheartened at this spectacle. Allahumma ari'nal Haq'a haq'q wa'rzuqna ittiba'a, wa ari'nal batil'a batil'a wa'rzuqna ijtinaba. Ameen sum ameen. @"is it what we are suppose to follow and imitate?" Baktar brother they never said follow and imitate them. "But in these daily broadcasts, Mr. Oktar and his colleagues have never advised anyone to adopt them as role models. The people to be adopted as role models are the prophets and the companions." Brother this video was a small part of his daily lecture. They got a remarkable news during lecture about new Ottoman so they started celebrate this news and started music. I also don't know what was the topic of this lecture and what exact news about new Ottoman came during lecture. I only got a hint. Without knowing context of this incidence we can not defame them and calling these ladies immodest..... We cannot compare this video of Adnan Oktar with video of Aamir Liaqet. Adnan Oktar only moved his hands with music without saying any immoral word.... Aamir Liaqet not only used bad language but also defamed women in his programs. Aamir Liaqet lied by denying what he said in his video. Adnan Oktar never hide his appearance and always praised women whether they observed Hijab or not, and also criticized ban on Hijab. Adnan Oktar: "...But the stipulation about the hijab in the Qur'an is perfectly clear. It is also set out in the hadith. There is nothing to argue about. These young people are very devout, our young girls want to turn up wearing the hijab. So what? Nice, polite ladies turn up. Of course there may be a diverse range of opinions. Everyone can think in different ways. Just so long as all our citizens are given the right to live as they wish and are given guarantees of freedom and democracy. Let young girls wear the hijab if they want. A laic regime, the republic, is embedded in Turkey. I regard it as totally inappropriate to make such a fuss within such a system about a handful of young girls wearing the hijab." Feb 5: "Islam is built on conscience. But disbelief is built on reason and cold logic." Feb 5: "Religion is the pillar in the establishment of peace, abundance and bliss for we are beings possessing souls. That is to say, people have a psychology, a soul that keeps them alive and dynamic, that keeps them excited. The soul, the human psychology has a structure that defines a goal for him. The propelling force in that is religion. In the absence of religion neither unity nor brotherhood and friendship, nothing would have any meaning." Feb 7: "Religion commands love, mercy and peace. Terror, on the other hand, is the opposite of religion; it is cruel, merciless and demands bloodshed, murder and misery. This being the case, the origins of a terrorist act should be sought in disbelief rather than in religiousness. The origins should be sought in fascist, communist, racist or materialist outlook on life. The name or the identity of the triggerman is not important. If he can kill innocent people without blinking an eye, then he is an unbeliever, not a believer." March 1: "Throughout the ages, people have considered, debated and sought the answers to such questions as, 'What is the meaning of and purpose behind life?' 'What happens after death?' 'What are heaven and hell like?' 'How did everything come into being?' 'What is the origin of life?' 'How can I come to know the superior Creator of all, myself included?' 'What does the Lord want of me?' and 'What are good and bad, right and wrong?' Philosophers and thinkers have developed their own theories on these subjects and proposed various ideas. Yet the true answers to such questions lie not in the teachings of philosophers, but in the divine religions. That is because man's reason and knowledge are limited. In the absence of a divine guide it is impossible to provide a true answer to those questions. In fact, God has given people guidance, by sending messengers at various times and sending down His books. In that way, ever since the time of the first man, the Prophet Adam, people have been aware of the existence of God and His commandments. They have found the best and wisest explanations of all those matters they needed in the divine religions"
That is what i am pointing on this blog from a couple of months. in fact he has nothing islamic.The books,website and research work which have done in the name of Haroon Yahya(in fact it had done by people of his group) can be done by none muslims or probably jews in order to gain attention of the ordinary muslims and get their support for their own benefits. Remember that he is unmarried and so many scandals are relates to him. A true islamic scholar can never do things like that and it is not islam of islamic preaching for women instead there are many other methods to preach islam. 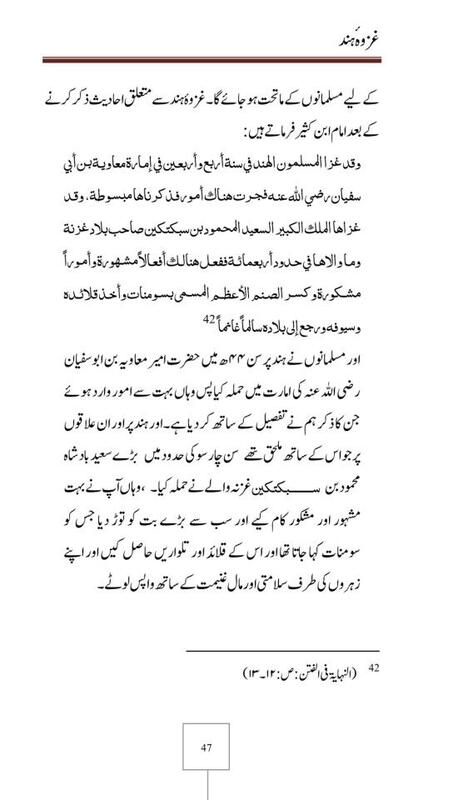 @"in fact he has nothing islamic.The books,website and research work which have done in the name of Haroon Yahya(in fact it had done by people of his group) can be done by none muslims or probably jews"
His over 300 books and all his materials is so Islamic that even if non-Muslims (Jews etc) wrote these then they should become more Muslims than us. I can challenge you if you point out any un-Islamic thing from his all writings. Did you read them before? @"Remember that he is unmarried"
Yes he is unmarried and Insha'Allah he will marry soon after completing his tasks. 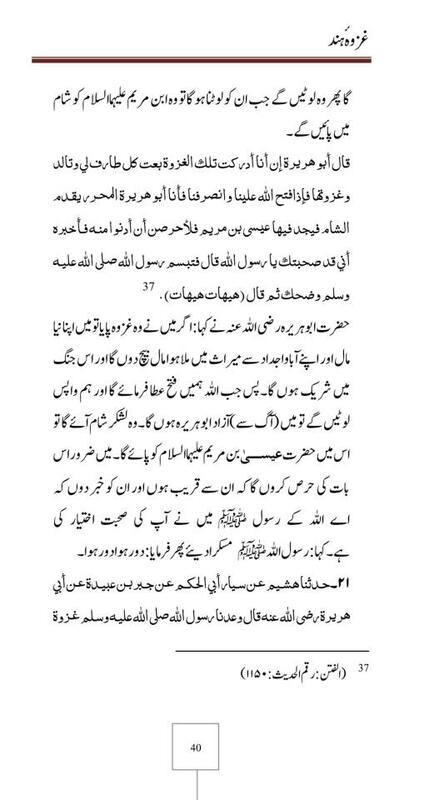 There are number of hadith (may be weak) which indicate that it is virtuous not to get married in the End Times for protecting Islam and to established Caliphate. Do you know what he wrote about Marriage? @"so many scandals are relates to him." Same scandal is also related with Prophet Yusuf (a.s) and He (a.s.) jailed. His (a.s) patience disproved this scandal. @"A true islamic scholar can never do things like that and it is not islam of islamic preaching for women instead there are many other methods to preach islam." When Prophet Muhammad (saas) can teach uncovered ladies in market then why not he cannot teach uncovered ladies? Why you want to stop Islamic teaching to those ladies? If a man is not offering his daily prayers then will you stop teaching him Islam? @Faisal "Enjoying is blessing of Allah. In every video he enjoys. If we will enjoy in Paradise then why we cannot enjoy in this world?" This world is not for enjoyment in fact this world according to hadith is like a prison for a true muslim.Akhira or jannat is for enjoyment for those who follow Allah. 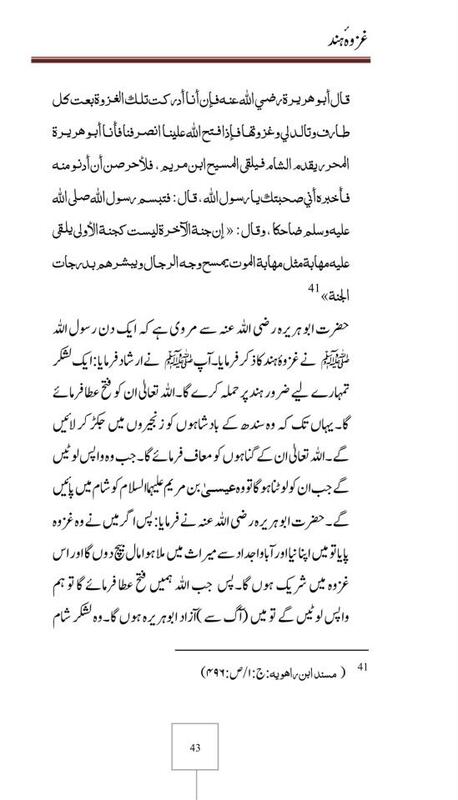 @AM "This world is not for enjoyment in fact this world according to hadith is like a prison for a true muslim." 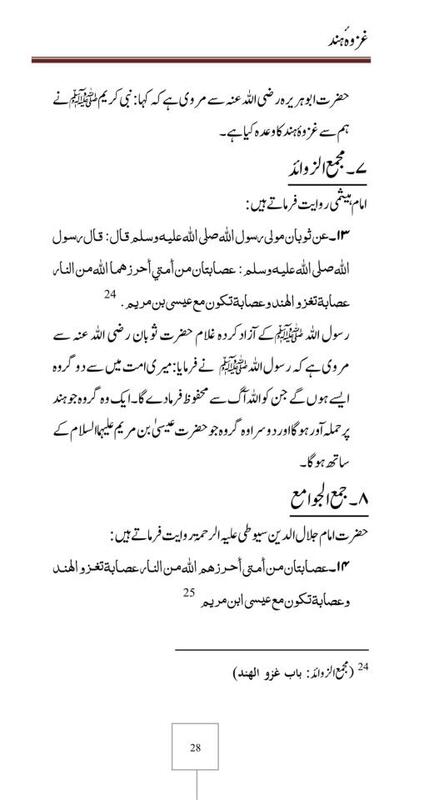 Dear AM if you posted the Hadith with reference then we can discuss context of this Hadith. 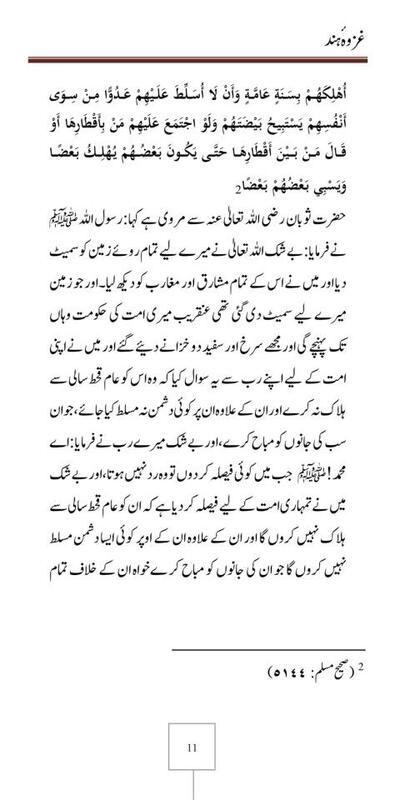 I am not scholar so don't know the context of this Hadith. I think this Hadith is not generalized. It is for specific actions. "Rabbana atina fid-dunya hasanatan wa fil 'akhirati hasanatan waqina 'adhaban-nar." Throughout every moment of our lives, we encounter countless blessings and beauties created for us by Allah: the air we breathe, the varied and impressively lovely sights in nature, the splendid beauty in animals, plants and flowers are all examples of this incontestable fact. They, along with many other wonders of the natural world, all have a powerful impact upon the human soul. Yet there is one important fact about the beauties of this world which needs to be understood by man. As our Lord has revealed in His Book, "the life of this world is just the enjoyment of delusion" (Surah Al 'Imran, 185). The enjoyment of this world is very brief and not real as compared to enjoyment in Hereafter but still we can enjoy in this world to thank Allah for His countless blessings. Allah increases His blessings on those who are grateful. Being grateful is also a sign of one's closeness to and love of Allah. We should and must understand our mistakes, historical blunders that where committed by not paying attention to enemies of Islam, their aims,goal and ways to pursue them. kindly do watch this series on youtube channel azaad pakistan. Below is link documenting zionist hindus intensions for this region. Fasail bhai, ur not understand basic principle that is mandatory in order for Muslims to again flourish and progress in this World. That is Shariah(Command and rule of ALLAH) by imposing it on our self(every one of us voluntarily) individually. The more number of Muslim incouraging it in their daily lives, the more popular benifts of Shariah becomes commonly known. This eventually and obviously results in to Islamic State, isn't. As Muslims now are educated and far more aware of the discrepancies of democracy and it's vast ill effect on society. Many ALLAH WALI Scholars who are close to ALLAH AZA WA JALAL because they follow Muhammad SAAS the beloved last Prophet of ALLAH, live their lives according to Commands OF ALLAH. Not follow their own nafs or invented philosophies. 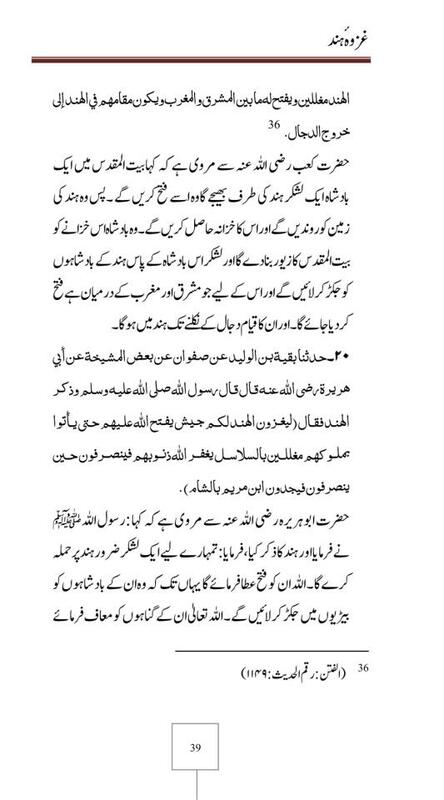 They are Ummati Of Muhammad SAAS not those who nous billa try to compare themself with Muhammad SAAS astagferllah. Such Scholars have high status in ALLAH Sight and are very dear to ALLAH. 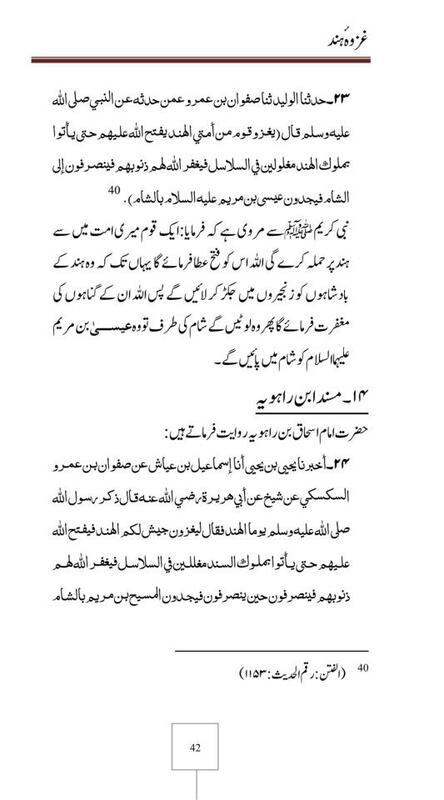 These Scholars are even now present Masallah, surprisingly, alot are in pak. They are not boastful, arrogant.Most importantly they have habit or nature not to revel them self openly ( as has happened in the past)until when required(By Command Of Allah). 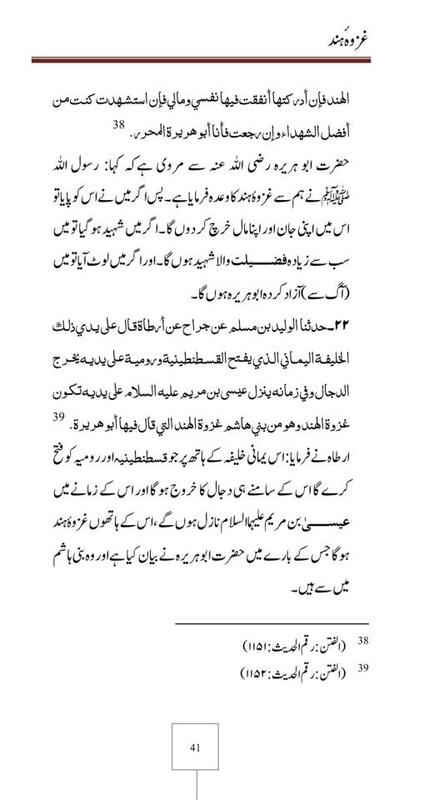 So inshallah that day is not far when Teachings OF Prophet Muhammad (SAAS)will again be practice by Inshallah Whole mankind(not just Muslims) because when truth prevail over false hood, then it melts the heart, then it is difficult for any false doctrine to survive. If u do not see this coming .... then listen and see what people outside of pak have to say... listen brothers..
people seriously.. what u and all talking and read... it seems we have genuinely entered that phase physically.. presently now communal sentiments are flaring in hind( read news local urdu ones as national news black out such events) suddenly all of sudden. @"basic principle that is mandatory in order for Muslims to again flourish and progress in this World. That is Shariah(Command and rule of ALLAH) by imposing it on our self(every one of us voluntarily) individually." Right. Shariah and Sunnah are building blocks of Muslim Society. @"This eventually and obviously results in to Islamic State, isn't." At time of prophet (saw) there is only one state of Madinah which was Islamic State. When other non-Arabs areas are conquered then Islamic Union (Caliphate) of Islamic Ummah is formed. There should be only one Islamic Union in whole world as Islam permute unity and strength. Having different independent Islamic States in same time is wrong concept. So Pakistan cannot be converted into independent Islamic State having her own Islamic Shariah and own Caliph. Pakistan can be converted only a Islamic state which is part of Global Islamic Union. @"please do not think scholars coming on tv or those u know are only one alive on this Zameen"
Ishfaq Ahmed and Dr Israr Ahmed also used TV. They are also Wali. @"Many ALLAH WALI Scholars who are close to ALLAH AZA WA JALAL"
All his predictions are true and will be completed Insha'Allah. There are millions of his followers in world. 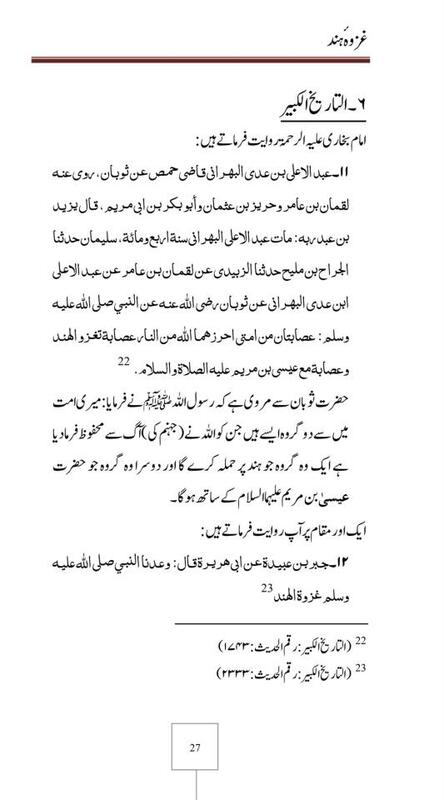 When we'll stop abusing scholars and Walis? Do we consider ourselves more intelligent and near to Allah than these scholars? If he is not authentic then why his predictions are included in this blog. If this blog is not authentic then why you are here? Sheikh Nazım Al-Qubrusi's prediction in 1987 about work of Harun Yahya. See more of what they working and trying to instill fear and subjugate Muslims.. Some people consider Adnan oktar as Mehdi in fact they are preparing him for false claim as a mehdi. Hiding behind a pen name and deceiving the Muslims by spreading lies and false information which he creates with the help of Israeli Mossad - his aim is to impersonate the much awaited Imam Al Mehdi A.S.. He uses false analogies, hired scholars, publishes books, runs tens of websites and makes many documentaries to fool innocent Muslims who are new to learning Islam. Please spread this message to those who fell prey to Adnan Oktar a.k.a Harun Yahya's deception. Hiding behind a pen name and deceiving the Muslims by spreading lies and false information which he creates with the help of Israeli - his aim is to impersonate the much awaited Imam Al Mehdi A.S.. He uses false analogies, hired scholars, publishes books, runs tens of websites and makes many documentaries to fool innocent Muslims who are new to learning Islam. Please spread this message to those who fell prey to Adnan Oktar a.k.a Harun Yahya's deception. There are always differences between scholars so they criticize research work of other scholar. 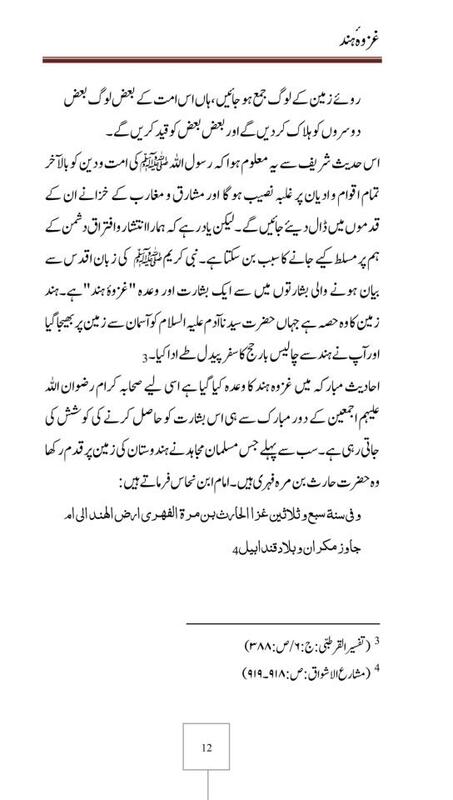 This criticism is natural but some foolish fitnah makers use clips of scholars to defame other scholars. Adnan is tribe name of Prophet Muhammad (saas). Hazret Ali (a.s) often called Prophet Muhammad (saas) with name 'Adnan'. Read History. Name of Mahdi is hidden. Prophet Muhammad (saas) never told his name. Adnan Oktar: I swear; Wallahi, Billahi, Tallahi - there are three such oaths - I swear to Allah that I never claim to be the Mahdi until the day I die. What more should I say? If I ever do so, I mean if I ever claim to be the Mahdi until the day I die,.. may the curse of Allah, the angles and all humans be upon me..
@"Hiding behind a pen name"
Adnan Oktar never hide his name. His name always written in his book. Harun Yahya is his pen name. Most of the writers use their pen name. @"deceiving the Muslims by spreading lies and false information"
Please point me any false information in his books? Any un-Islamic think in his book? @"which he creates with the help of Israeli Mossad"
@"his aim is to impersonate the much awaited Imam Al Mehdi A.S."
I never see any scholar with him. Are Dr. Zakir or Yousuf Estate hired scholars? who came in his program. @"publishes books, runs tens of websites and makes many documentaries to fool innocent Muslims who are new to learning Islam." Are you jealous? Show me any un-Islamic material in his all books and websites? which is against Sharia and Sunnah? Do you believe on Darwinism? @"Please spread this message to those who fell prey to Adnan Oktar a.k.a Harun Yahya's deception." Usually people who cannot discuss or answer my replies start abusing and defaming without any solid reasons. They work on assumptions only. what about sheikh imran's views, which he expressed in his lectures last yera, about mr haroon?? His stance is very clear about Mr haroon. Sheikh Imran Hosein Is CHANGING HIS OPINION ABOUT HARUN YAHYA! 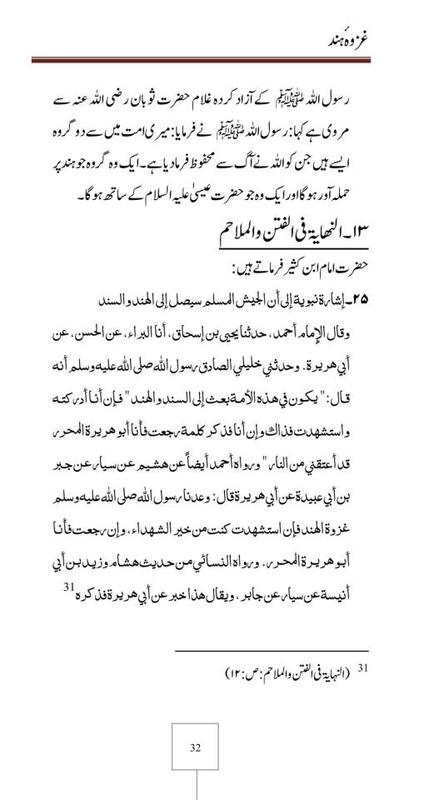 The Appointee of His Highness Sheikh Nazim Al-Qubrusi, Sheikh Ahmad Yasin explains that Hazrat Mahdi will not shed blood. Hazrat Mahdi (pbuh) is a man of heart; he will bring serenity. Everyone has already brought so much war. Freemason brings war, atheist brings war. Communist brought bloodshed. Everyone brought trouble and corruption. If Hazrat Mahdi (pbuh) also brought these, what difference would there be in between? Are you insane? He is a man of heart. He is a man of peace. When he comes, nothing would have an effect. There will be no blood bath. He has nothing to do with swords and blades. Pay attention to what I am saying. Some people are saying so; well suit yourself. I am not saying so. 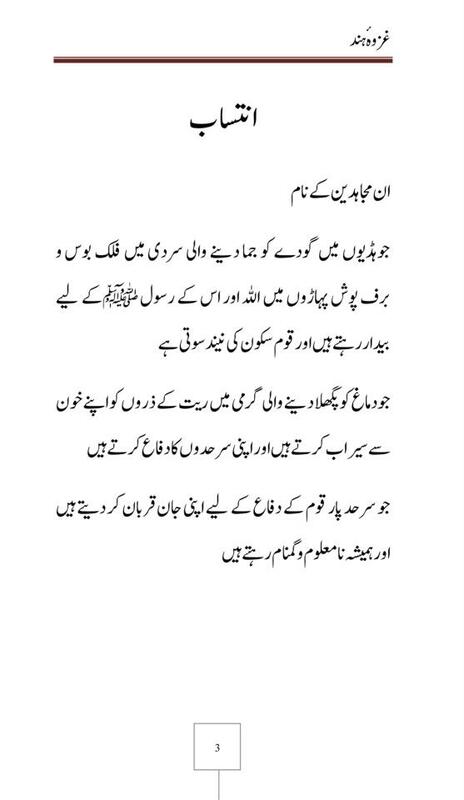 Hazrat Mahdi (pbuh) is a man of heart. There will be no blood, no discord, no war, no conflict, nothing would happen. He comes in serenity. The lamb and the wolf will live together. He is such a great friend of Allah that he is above the sheikhs. Do you not see his Excellency Hadji Bektas Veli? There is a lion in one arm and a deer in the other. He [Our Prophet (saas)] says that in the time of Hazrat Mahdi (pbuh) we will live a period when the wolf and the lamb will be together. This could happen with help [of Allah] through the owners of wisdom. Together with his commanders and soldiers, all of them constitute a group as big as the martyrs of Al-Badr, they are a total of 314 people. The ones called his soldiers are actually the men of heart; they are his students. They are well-mannered, disciplined and decent, quick-witted [who understand things without being said], they have love for the young and respect for the elderly, they treat everyone on earth with compassion and mercy. They are the ones who would not even pluck a green herb thinking that it cites Allah. They would not tyrannize over anything on the face of Earth. Such are the soldiers of him, such are the students of him. The reason why we call them soldiers is because it comes from Arabic, that is the word "nefer" (individual, person), it comes from the student. They are men of heart, they are men of soul. He [Hazrat Mahdi (pbuh)] is the one away from corruptions and mischief. There is no quarrel. There is no grudge in them. There is no pride in them. They embrace everybody. They help every single one of you. When we see those individuals, we would know that they are the soldiers or commander of Hazrat Mahdi (pbuh). Such people are the ones we always look for in dervish lodges and Islamic monasteries. So we know that they are the soldiers of Allah. Otherwise the others are not. Those are the ones who come to be like them but could not and failed in the school; they are the raw ones. I will tell you become the ummah, the student of Hazrat Mahdi (pbuh). An example for Islamic Extremism. ! After this incident some people in Pakistan burnt embassy of USA in Islamabad by false reporting of radio that USA had bombed the Masjid al-Haram. and many has spoken about the activities of Harun Yahyas works . See my dear brother Harun Yahya even dont know Eglish language , does not know Arabic properly, does not have any biological graduation from any university....................but Still see the Kind of INFLUENCE HE IS HAVING ! He produce the works and give the entire works for free through out the Globe where no other Islamic Group does. 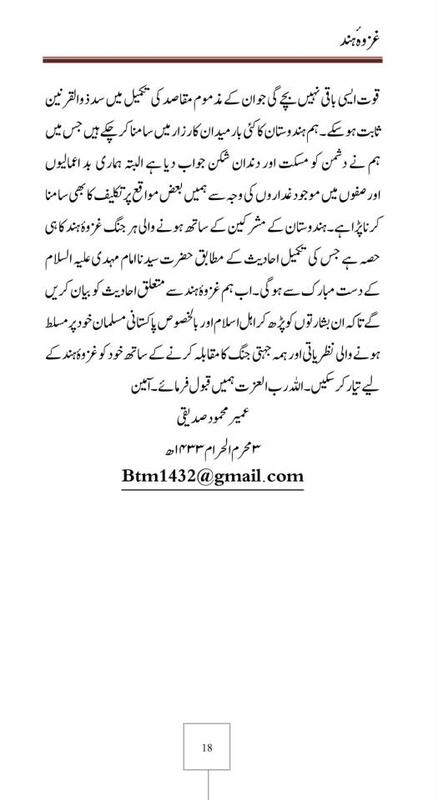 AOA Bro where, in the link you provided about alliance with jews etc, does sheikh imran CHANGES HIS VIEWS ABOUT MR HAROON?? and the point of view given in that link by sheikh imran is not new. If u listen to his old lectures he holds that view even then. 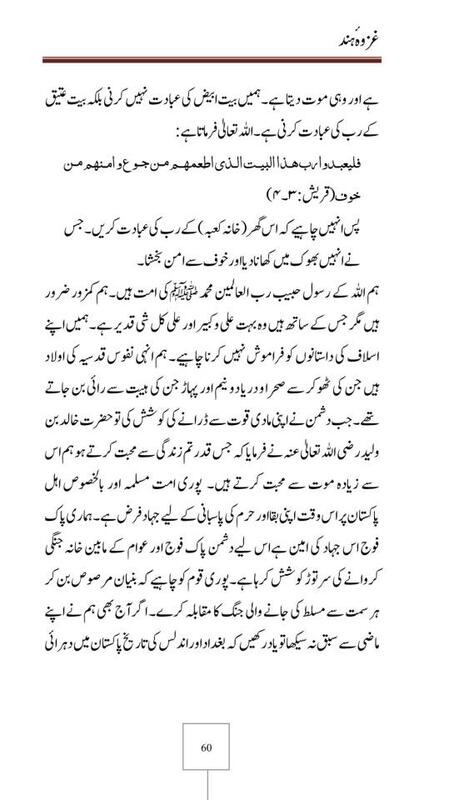 Nor does he says that because in the time of Nabi Isa a.s muslim, jews and christians will live together so we should try this union now(this is what mr haroon wrote according to sheikh imran)dont confuse sheikh imran's point of view about alliance with jews with what mr haroon said. You must have listened these videos before but this time just keep your love for Mr Haroon aside during these two videos and give them a thought. Naim narrates from Salman ibn ‘Isa that he said: From what I have heard, the Ark of the Covenant found in the time of the Mahdi will be brought out of Lake Tiberias and brought before him in Bayt al-Maqdis. When the Jews see that, all but a few will become Muslims. Dr Israr Ahmed also said majority of Jews and Christens will become Muslims but few who will not convert will lives with Muslims under their protection. Islam never forcefully convert or kill others. Same thing is said by Harun Yahya that jews and christians will live together in Union. Only Imam Mahdi will be able to convert Jews to Muslim. 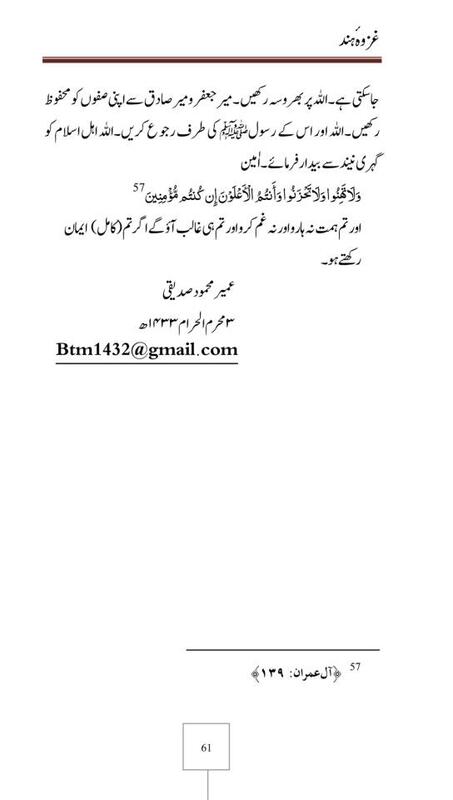 Both scholars are saying same that all jews are not bad and we can make alliance with good Jews. Only those atheist Jews who fought with Muslims is our enemy. If both are talking for making alliance of believers then where is problem? so just relax and do your best in your life around your people to deleiver the right and haq message and be a part of this road by following Aqa Asalato Asallm taught us which will lead at the end to Allah. Allah says in the Qur’an, "... Do not let hatred for a people incite you into not being just. Be just. That is closer to taqwa” (Surat al-Ma’ida, 8). 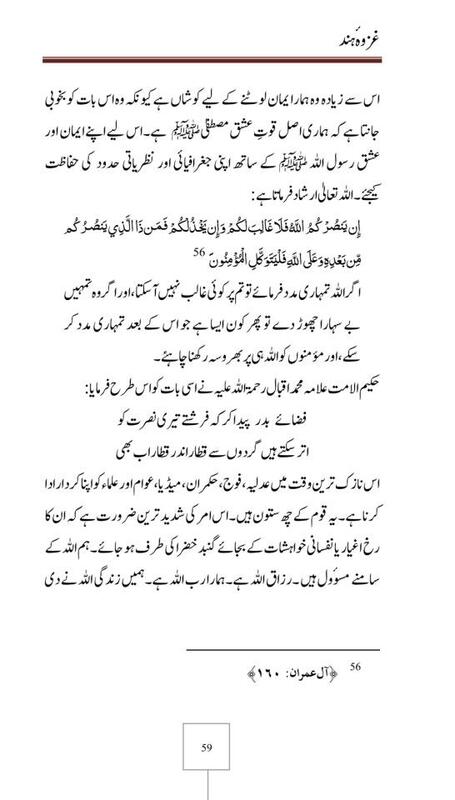 why i would go for Harun and what would be beneficial for me where I have most athuticated book of this universe most relaible life of Sihaba karam and more over last prophet life so what haroun can give me more , do you have any reply ? "But in these daily broadcasts, Mr. Oktar and his colleagues have never advised anyone to adopt them as role models. The people to be adopted as role models are the prophets and the companions. Both Mr. Oktar and his colleagues state this quite explicitly in their A9 TV live broadcasts. These broadcasts are completely compatible with the Qur’an and the Sunna of our Prophet (pbuh). What is expected of those people who are determined to criticize, even in the face of this fact, is not to adopt the individual lifestyle there. The logic that says, “I reject that life style so I cannot agree with what is being said” is a most ignorant and dangerous one. That is almost the same as saying, “If he is not a prophet, then one should not read his books or adopt his ideas.” What people need to take away from the live broadcasts in question is the true and effective accounts showing the existence of Allah. The truth of what is said on these talk programs, and how they affect people from all sections of society, is an undeniably evident fact." "Therefore, before judging other Muslims, a sincere Muslim needs to look to his own service for the sake of Allah." how can mehdi leave the path of prophet muhammad sallalahu alihe wasallum who fought in and led 31 battles himself where he shed blood of kufar and even his own precious teeth were shaheed in one battle of uhud! how can people be so brain dead that they think that mehdi will leave the sunnah of prophet and abandon jihad and conquer this world by some harry potter magic.are people not wiser than cattle anymore? @Kashif, who said Mahdi will bring change without jihad. Harun Yahya only said Imam Mahdi will not make bloodshed. 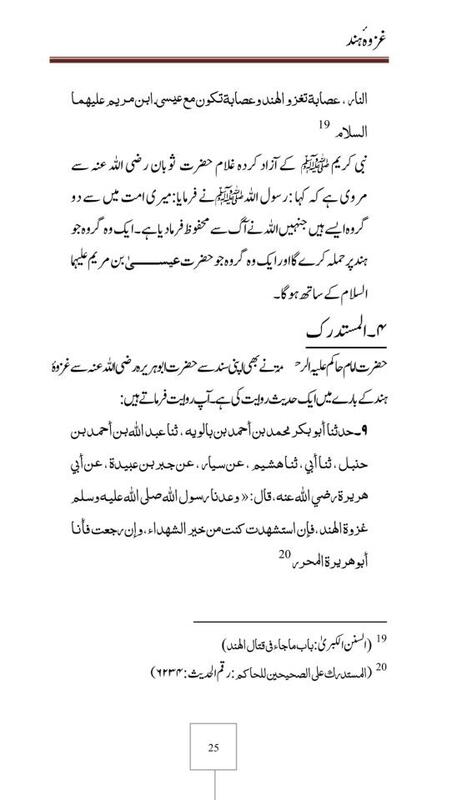 There is difference between Jihad and Qital-fi-sabilillah. Did Prophet Muhammad (saas) and his companion (ra) killed anyone before creating Caliphate in Medinah and before migration??? 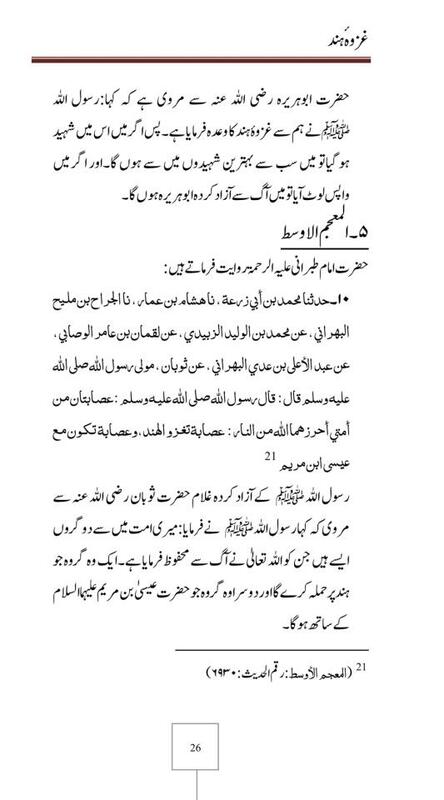 Imam Mahdi not only will do Ghazwa-e-Hind but also other battles after creating Caliphate. These battles will not be killing of civilian of our enemies. These battles will be fought by armies/troops of union of Islamic countries. 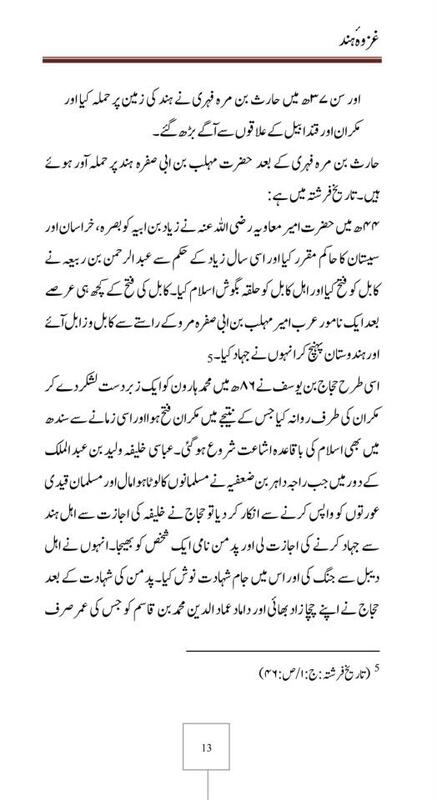 Why you people are skipping first phase of creating Caliphate or Islamic Union and going directly to do bloodshed??? All battles will be defensive to protect Caliphate... When time will come we should participate in battles to protect Muslims. Currently creating Caliphate is great Jihad.... Harun Yahya is doing this so he is a great Mujahid.... Yes Harun Yahya is not harry potter so he is meeting with Sunni, Shia, Iranian and Jews influenced scholars daily to establish Turkish Islamic Union. Adnan Oktar: If a person says, “I am pious,” then he must support Islamic Union. You must support the Qur’an, all of it, and the Sunnah of our Prophet (saas), but you must also want it to prevail and spread across the world. If not, this is dishonest and abnormal. In the same way that prayer must be espoused night and day, so Islamic Union must be espoused night and day. Our Prophet (saas) strove night and day for the reign of Islam. His every breath was so that he could spread Islam. Islamic Union is the greatest religious obligation. There is something wrong if people disregard it. 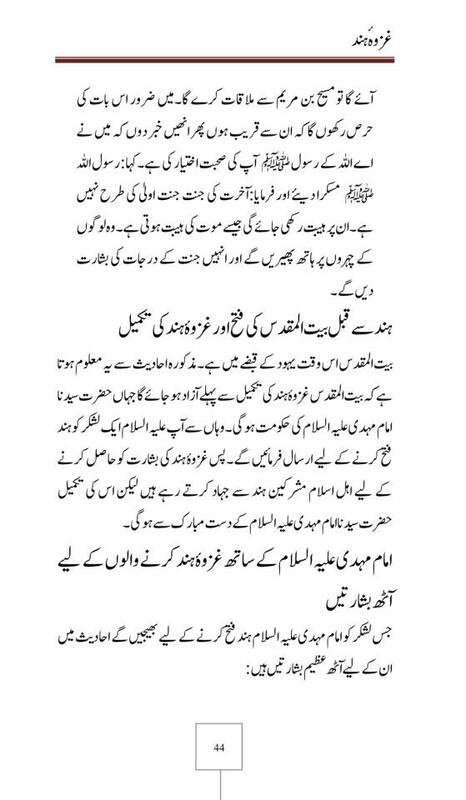 There is also something wrong if they try to postpone the coming of Hazrat Mahdi (pbuh). 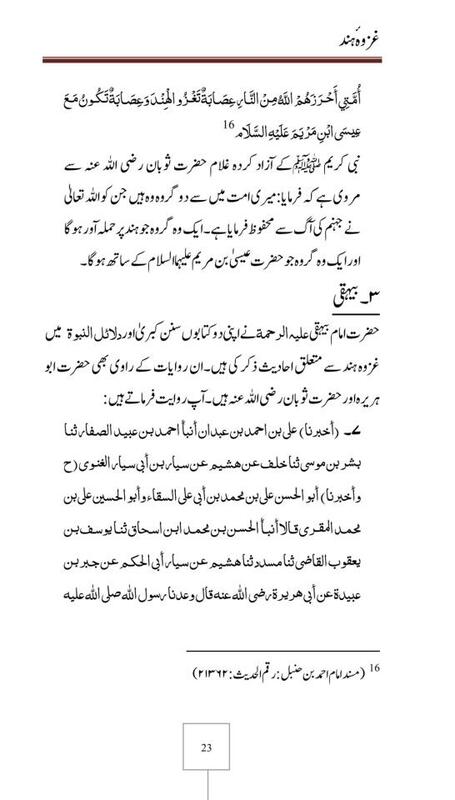 The reason for postponing the coming of Hazrat Mahdi (pbuh) is because they do not want him. About Imam Mahdi and Turkey. (*) This is the spiritual capture of Constantinople by Hazrat Mahdi (as). Naim ibn Hammad narrates from Abu Said al- Hudri; Our Prophet (saas) said: In his (Hazrat Mahdi’s (as) time) the sleeper will not be awakened and not a single drop of blood will be spilt. (Al-Burhan fi Alamat al-Mahdi Akhir al-Zaman, p. 11). In that year the disappearance of MY SON [HAZRAT MAHDI (AS)], WHO WILL HAVE THE RED FLAG AND AFTERWARDS GREEN FLAGS, will be announced. Even people say Imam Mahdi will not come as he is not mentioned in Bukhari. Then the Prophet Jesus WILL SEEK OUT THE DAJJAL and eventually catch up with him at the Gate of Lud NEAR THE MASJID AL- AQSA, AND WILL DESTROY HIM. Jesus (as) will meet the dajjal at the Gate of Lud (NEAR THE MASJID AL- AQSA IN JERUSALEM), AND WILL MAKE HIM INEFFECTIVE. Where is the dajjal (antichrist) hiding? Kuch agal ke nakhun lo kia aap ko zardaryon, chodhryou, waderon,ya sooted booted kalay angrezon ya amerika ke ghulamon ne khabi koi faida phunchaya hai. 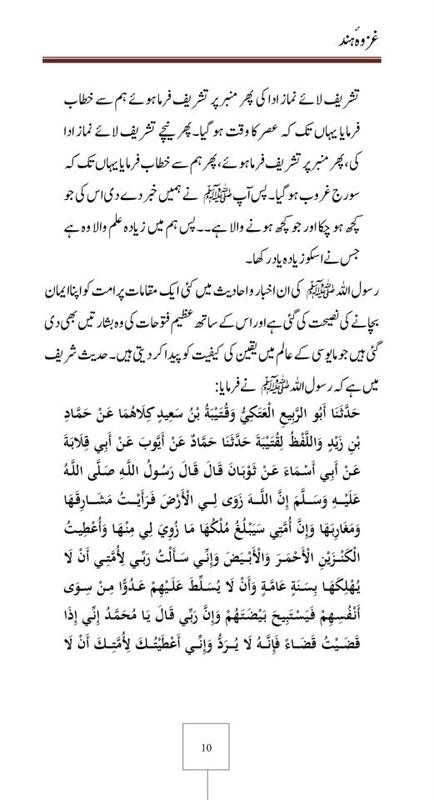 I have been blindly following all these predictions for the past 30 years .. but when I read Quraan I don't see any supporting details and that is worrisome for me. What does Quraan tell us about these events .. an event which is being so much talked about and awaited for past 2000 years in the same vein as the day of judgement is talked about .. still we don't find any details .. why? Is it really an Islamic narrative or like other concepts from the Jews and Christians .. this has alos been embedded in pur literature. I will appreciate if any one can relate relevant verses from the Quraan about these events.